Regain control of your PC with the help of the industry leader! In less then 5 minutes your errors could be gone! 1) What does PC-CLEANER do? 2) Why should I use PC-CLEANER? 3) What are registry errors? 4) How is PC-CLEANER different? 5) Why does my registry needs repair? 6) How can I avoid registry errors? 7) What is Windows Registry? Q. What does PC-CLEANER do? PC-CLEANER is a simple yet very powerful application for registry repair. It will allow you to eliminate annoying error messages, improve system performance and remove unused application remains. It also provides a variety of advanced features for the users who like such flexibility. Q. Why should I use PC-CLEANER? Because it makes sense. If registry problems remain unaddressed they will only become worse over time. This may lead to a complete system crash which will be very hard or even impossible to recover from. This application gives you quick and simple way to speed up your computer and eliminate nuisances. Q. What are registry errors? Registry errors are misconfigurations in the Windows registry. They occur when application errors occur or when applications are working in an incorrect way. Over time they accumulate and clog the registry. Q. How is PC-CLEANER different? 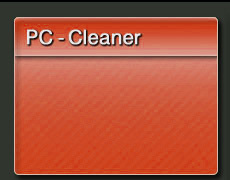 PC-CLEANER combines simplicity, richness of features and plenty of power to eliminate errors. It is a smart choice for people that need their PC in good shape and value their time. Q. Why does my registry needs repair? It usually is not your fault that your registry has errors. Most of the time reasons for this are poorly written programs, malicious programs and websites. Your registry needs protection and maintenance that PC-CLEANER delivers. Q. How can I avoid registry errors? We believe that PC-CLEANER gives you an excellent option to avoid registry errors. You can either scan manually your registry with variety of custom options or even schedule automatic maintenance performed. These features will allow you to keep your registry error free and put you in control of your PC. Q. What is Windows Registry? While this question requires a mile long answer, simply put it is a location in Windows where all programs and settings register their command values and parameters. It plays central role in every program usage. For more detailed information you can read here. If you have questions about PC-CLEANER please use the form below.